An alumnus is a person who attended the college (includes those who transferred to a university and/or those who, as a result of their enrollment, obtained employment in their career area) or who has graduated and/or received a credential from the college. 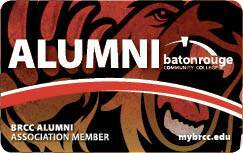 With paid membership and the completed contact information sheet submitted you will receive the Alumni Membership card in the mail. Jamar Ennis is a native of North Baton Rouge, Louisiana and graduate of Redemptorist High School. As a student at Baton Rouge Community College, Jamar served as the Editor of the Campus Newspaper “The BRCC Today”, was elected to serve as the Student Government Association President in 2005, a founding member of the Beta Mu Omicron Chapter of Phi Theta Kappa Honor Society, and also a recipient of the Elise and Charles E. Kaufman Scholarship. Jamar received a Bachelor of Arts in Political Science with a Minor in English from Louisiana State University and A&M College in 2008. Determined to make a difference in the community, he enrolled at the Southern University Law Center in 2011 as an evening student while working for the State of Louisiana full-time. 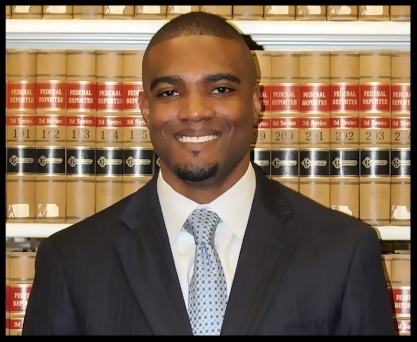 After graduating in 2015 with his Juris Doctorate Degree, he became a licensed attorney in the state of Louisiana- becoming the first in his family to achieve this accomplishment. Jamar began his legal career as a general practitioner and the founder of the J. Lanier Ennis Law Firm, LLC. Born from a single parent household, his mother Shirley instilled in him the values of advocacy, mentorship, and lending a hand to others in need. Through his law firm, he has provided pro-bono legal services to many individuals statewide, and has a program that provides workshops and free resources for aspiring students who desire to practice law. He is a member of Louisiana Bar Association, The Louisiana Association of Criminal Defense Lawyers, The Louis A. Martin Legal Society of Baton Rouge, and a member of Alpha Phi Alpha Fraternity, Inc. Jamar has worked in public service for more than thirteen years and has worked for three gubernatorial administrations. He served as a representative for the Governor’s Office of Constituent Services, Assistant Director of the Governor’s Office of Disability Affairs, and currently serves as the Executive Director of the Louisiana Youth For Excellence (LYFE) within the Office of Governor John Bel Edwards and the Governor’s Office of Community Programs. As a product of Baton Rouge Community College, Jamar hopes that his journey will inspire students to maximize their educational opportunities both in and outside of the classroom while in the LCTCS system. He believes that BRCC provided the resources and support system that enabled him to build a strong foundation for success.